Advocate photo by BRIANNA PACIORKA -- Baton Rouge hip-hop artist Marcel P. Black is celebrating the release of his new album, "Cry Freedom," this weekend at The Spanish Moon in Baton Rouge. Advocate photo by BRIANNA PACIORKA -- Baton Rouge hip-hop artist Marcel P. Black has released a new album, titled 'Cry Freedom.' On Saturday at The Spanish Moon in Baton Rouge, he and other rappers will take the stage in a 'Hip-Hop is Alive' showcase. Marcel P. Black watched his life change overnight. 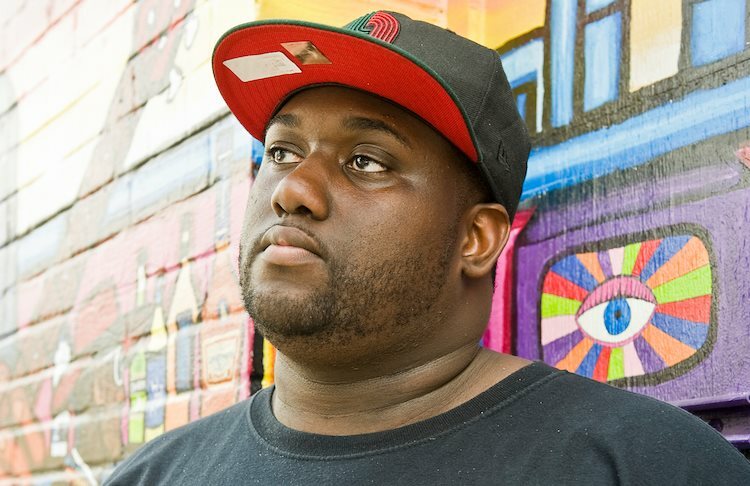 The hip-hop artist was in the final weeks of promotion for his new album "Cry Freedom" when Alton Sterling’s death rocked Baton Rouge. In the aftermath, Black was thrust into a leadership role as the pre-eminent conscious rapper in town. Despite Black’s musical track record, he said he felt a need to put his album release on hold. Black, a longtime youth development worker, changed his mind after receiving encouragement from his fans and renowned rapper-activist Jasiri X. 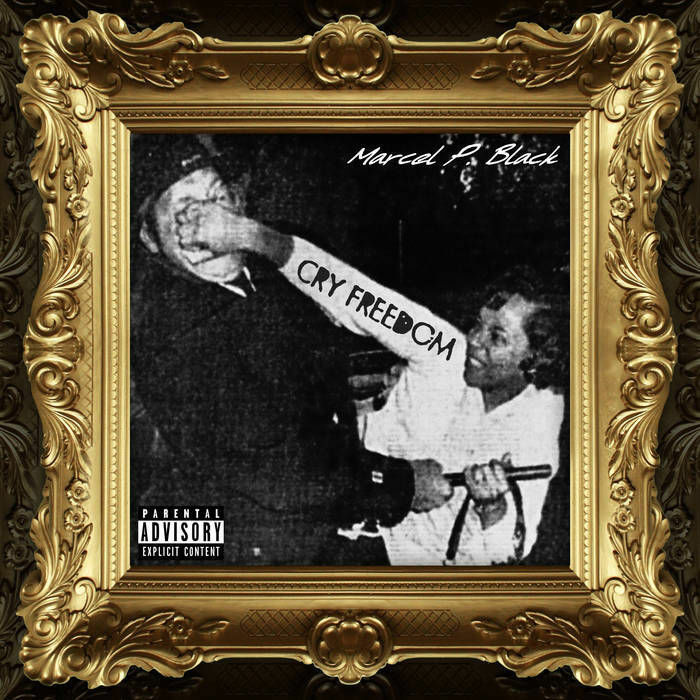 Inspired to stay the course, Black released "Cry Freedom" as planned on July 22. On Friday, Black will perform with a few other area artists during the "Hip-Hop is Alive" concert at Spanish Moon. Doors open at 9 p.m. The album was crafted over eight years with producer Joe on the Track and includes some of Black’s biggest collaborations. Prominent indie hip-hop acts such as Supastition, Tef Poe and Substantial appear on the album. 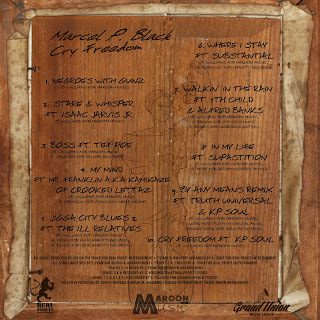 With more eyes on Black than ever before, he’s confident that "Cry Freedom" is his best work to date. And more importantly, it’s a firsthand account of the black experience in Baton Rouge. This event is brought to you by BR Hip-Hop Project, Real Profit Entertainment, Sole Lab Radio, & Grand Union Media Group. 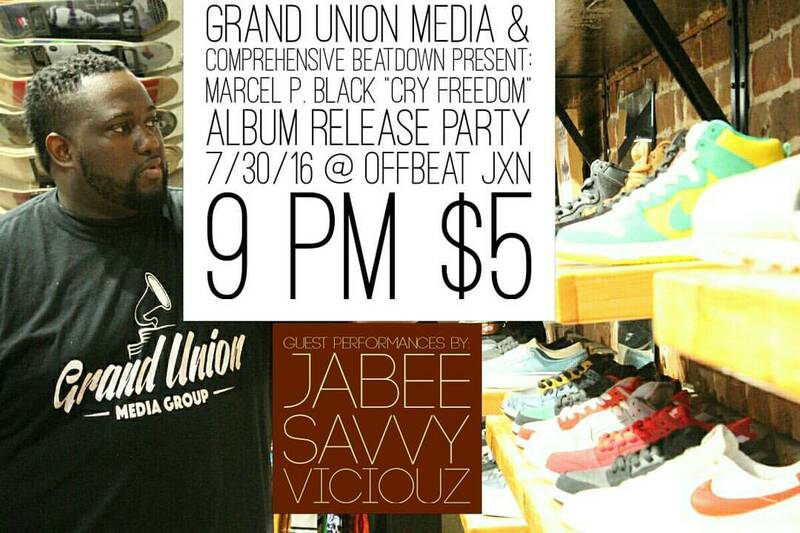 Baton Rouge emcee Marcel P. Black is coming to Jackson to celebrate the release of his new LP "Cry Freedom," courtesy of Grand Union Media. 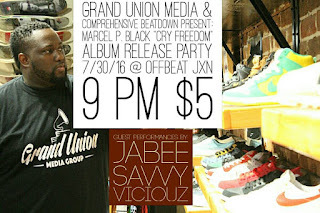 He will be joined by his Grand Union labelmate Jabee (OKC), as well as Jackson emcees So Savvy Wit'It & Viciouz. 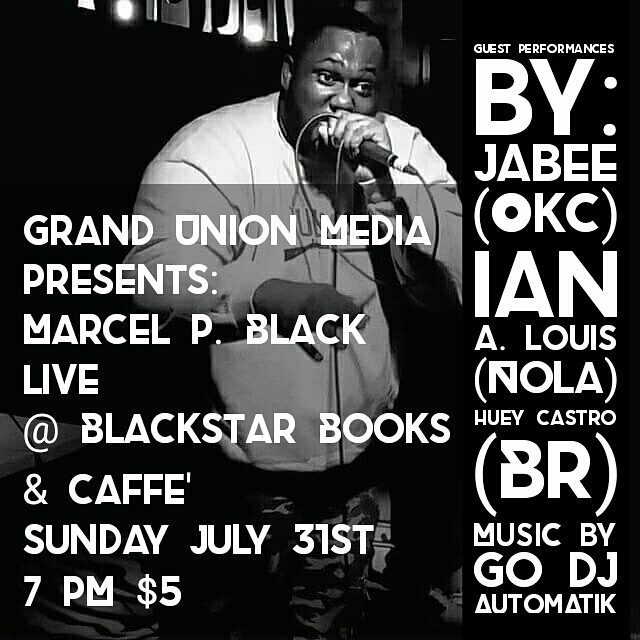 Come join Baton Rouge emcee Marcel P. Black live @ BlackStar BooksandCaffe as he celebrates the release of his new LP "Cry Freedom." 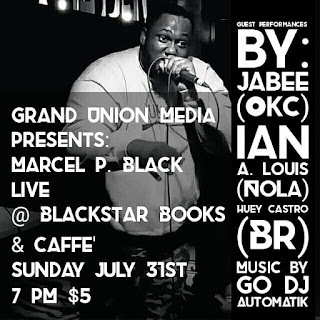 Marcel will be joined by his Grand Union Media label mate Jabee, as well as NoLa spitter Ian A. Louis, and BR emcee Huey Castro. Hosted by Truth Universal, D.j. Automatik on the tables. Doors open at 7 PM, $5 all night. Marcel P. Black Prays In "Stare & Whisper"
Marcel P. Black releases the third single titled “Stare & Whisper,” of his recently released LP, Cry Freedom. “Stare & Whisper” is an open letter style prayer to the Most High for strength and wisdom in times of mental, physical, and spiritual warfare. The track was produced by Joe On The Track, featuring vocals from Baton Rouge soul singer Isaac Jarvis Jr.
Pre-Order Marcel P. Black's "Cry Freedom" on iTunes/Bandcamp Right now!!! 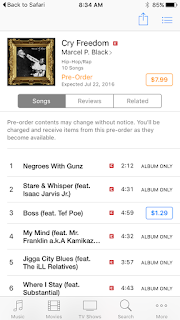 You can now pre-order "Cry Freedom" on iTunes right here. 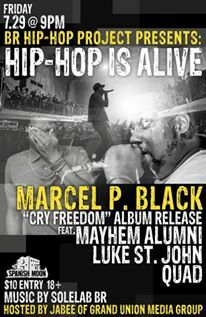 You can pre-order "Cry Freedom" from Bandcamp.com right here. 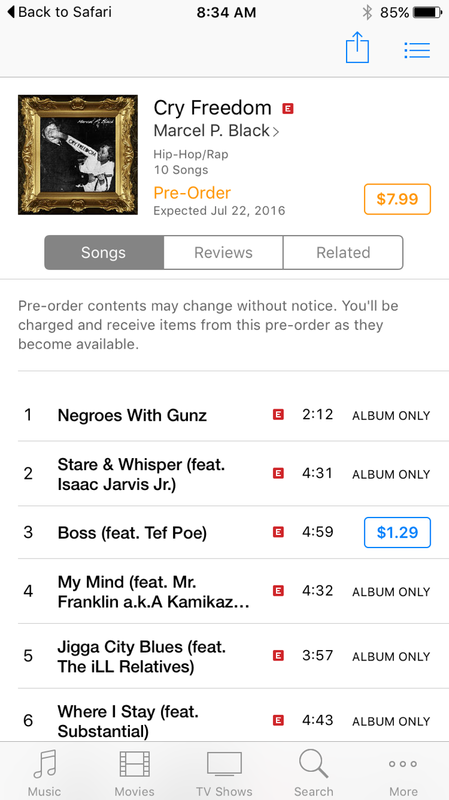 All pre-orders come with an an immediate download of "Boss" ft. Tef Poe. "Cry Freedom" drops online July 22nd. 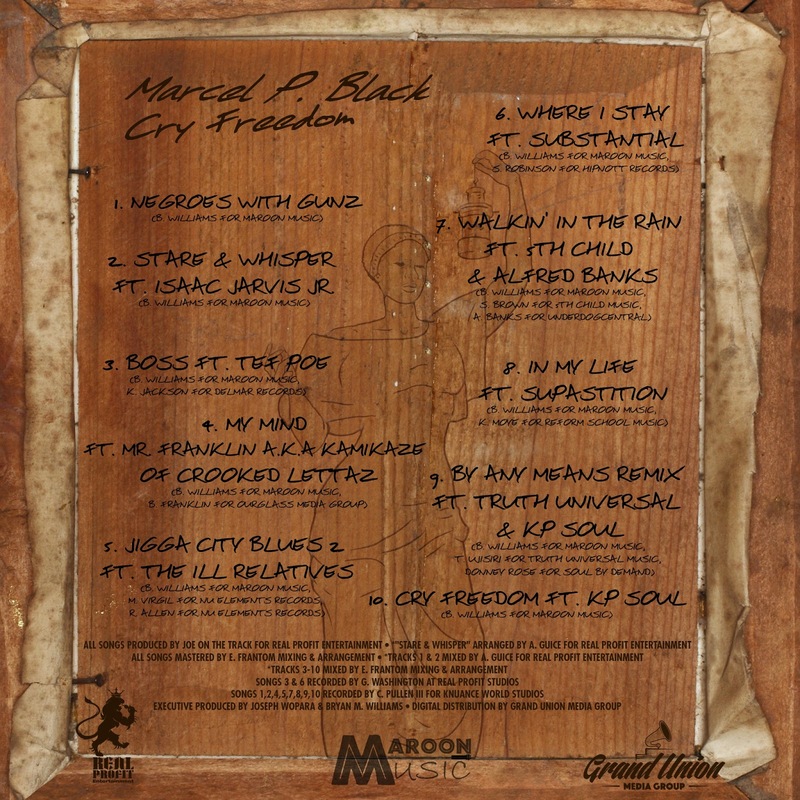 I am so glad to finally announce, my 3rd solo album, 9th project overall, "Cry Freedom" will drop on Grand Union Media Group/Real Profit Ent./Maroon Music digitally on Friday July 22nd, 2016. The LP will be for purchase on iTunes, Google Play, bandcamp, & all other digital retailers. The album is produced entirely by Joe On The Track for Real Profit Ent., and boasts features from accomplished indie emcees Tef Poe, Substantial, Supastition, Mr. Franklin a.k.a. Kamikaze of Crooked Lettaz, The Ill Relatives, Alfred Banks, 5th Child, & Truth Universal, as well as vocals by soul singers Issac Jarvis Jr. & KP Soul. Pre-Orders will be available for online purchases soon!! !